Personalised ~ Gift Wrapped ~ Delivered. .. Personnalisé ~ Paquet cadeau ~ Envoyer. A winning formula for your team, for your business!..une formule gagnante pour votre équipe, votre entreprise! Choosing gifts for newborns can be challenging, especially when it comes to buying new clothes for nephews or godchildren. If you are looking for the best place on the internet to purchase high-quality, but affordable organic baby clothes, look no further! Embroidélan is the one-stop-shop for all your baby’s needs. Here, you can find personalised baby gifts for boys and girls of different ages. No matter whether you are searching for adorable soft toys, everyday essentials or cute accessories, we’ve got you covered. Browse our e-boutique to explore the full spectrum of unique baby & toddler presents we stock right now. We guarantee you will be pleasantly surprised with the wide choice of baby gifts that are both practical and cute. The best baby gift ideas are those that come from the heart. We believe that personalised organic baby gifts are a beautiful and memorable way to celebrate a new life, a birthday or as special outfit for your child combining luxurious quality organic GOTS certified clothes with embroidery that is individual to each and every garment. At Embroidélan, you can find adorable gifts for every occasion, be it a birthday party, christening, baby shower, Christmas or just a theme party. Our e-boutique is the ideal place to buy personalised organic baby & toddler clothes online. Cute bodysuits and T-shirts, comfortable nightwear, stylish dressing gowns and pretty & practical bibs are ideal presents from Mum’s, Dad’s, Godparents and Grandparents alike. 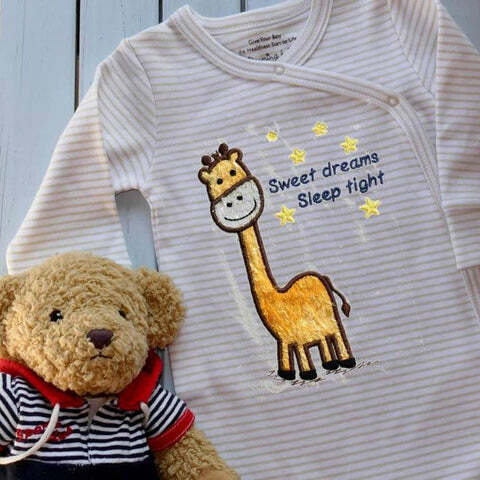 Browse our fancy daytime, cuddly night time, and bath time clothing baby sets and choose the garment that best suits your needs and budget. We also offer cost-effective embroidery services for companies, associations, the Hospitality and Tourism industries and individuals. Whether it’s t-shirts for your event team, kitchen uniforms for your staff or baseball caps for your sports team, we guarantee a personalised and professional service. If you have any questions regarding our products, feel free to contact the Enbroidélan team. We will gladly answer all your questions and provide you with the best advice possible. 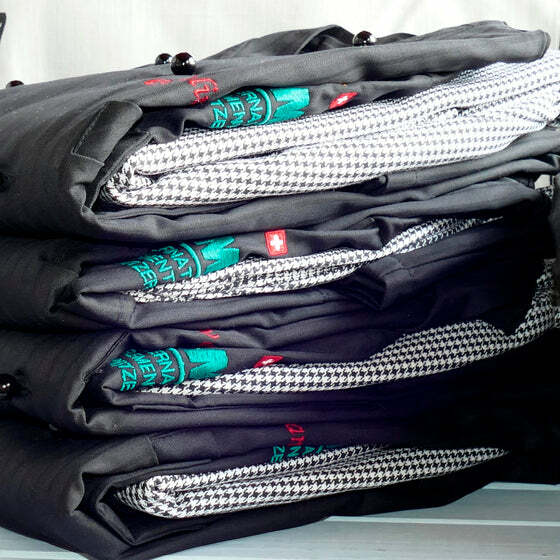 Exceptional service and on-time delivery guaranteed. 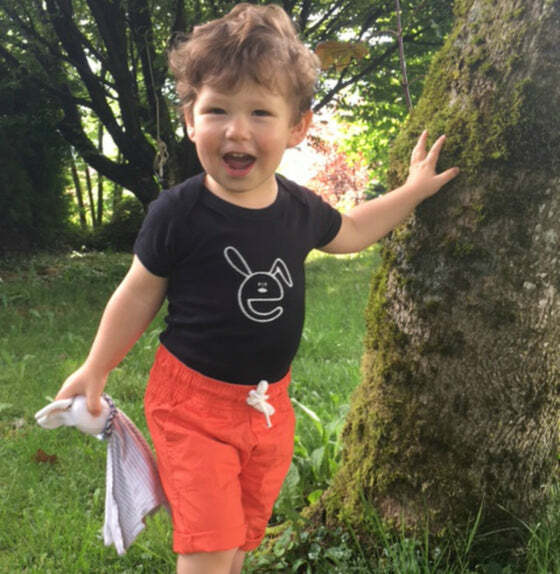 Clothe your child in organic cotton, help the environment and support Fairtrade by buying personalised baby & toddler gifts at Embroidélan. & receive the latest offers & news!..& recevoir les dernières offres et nouveautés! © 2019 Embroidélan | Organic Clothes & Gifts Boutique. All Rights Reserved.